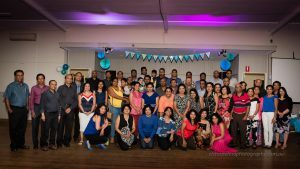 The IESL NSW Chapter Engineering Convention 2018 and Gala Nite were successfully held on Friday June 8 and Saturday June 9 at the Engineers Australia Auditorium at Chatswood and the Hornsby RSL Club, respectively. 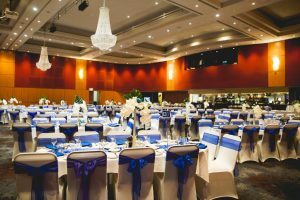 As part of our continuous improvement process, we would like to receive your feedback on both engineering night and conference, which will help us further improve the quality of our service and allow us to focus on better customer satisfaction. 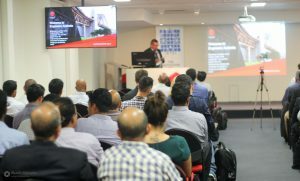 The theme of the second IESL NSW Chapter Public Lecture this year is on Robotics and will be delivered on Wednesday 11th July 2018 at the Engineers Australia Building in Chatswood by Associate Professor Sarath Kodagoda of University of Technology Sydney. The presentation will be commencing at 6.30 pm with one hours’ duration followed by a Q&A session. This year’s industrial visit is scheduled to take place on Saturday 4 August to the NSW Rail Museum at Thirlmere. 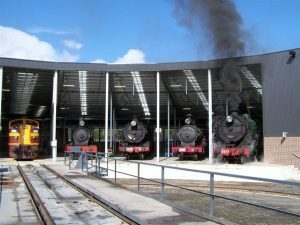 Located in the semi-rural town of Thirlmere approximately 90 kms south west of Sydney in the Wollondilly Shire, the museum was established in June 1976 to showcase the rich heritage of the history and development of railways in NSW. The CEO/Executive Secretary of IESL has announced that a three months amnesty period ending on 31 August 2018 has been declared with regard to overdue payment of IESL subscriptions. University of Wollongong Distinguished Professor Buddhima Indraratna FTSE will head the new ARC Training Centre for Advanced Technologies in Rail Track Infrastructure, announced by the Australian Research Council. Waves offshore of Coffs Harbor at 80m depth have been recorded by MHL for a period of over 30 years. Long waves have been simultaneously measured in the harbor over a period of a decade. This data enabled the model to be verified on two dates (4/6/12, 5/9/14) when high long wave was recorded in the boat ramp harbour under storm and non-storm conditions.